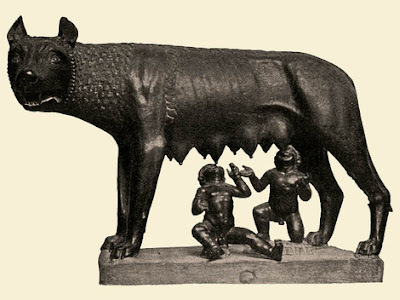 The symbol of Rome – a bronze she-wolf suckling Romulus and Remus, the legendary founders of the city – may be a medieval replica rather than a 2,500 year-old Etruscan creation, it was claimed yesterday. The bronze statue, which encapsulates the mythical origins of the Eternal City, is one of the star attractions in Rome's Capitoline Museums and is reproduced on countless T-shirts, key rings and postcards. It has always been claimed that it was forged in the fifth century BC during the Etruscan era, which predated the Roman republic and empire. Five years ago it was subjected to carbon dating testing, which suggested that it may have been made during the Middle Ages. Medieval Cathedral Reconstructed in Iceland? Who were the 99% of ancient Rome?